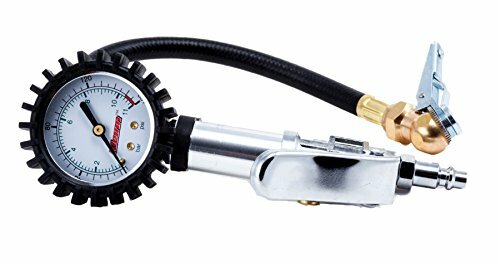 Tire inflator with 160 PSI gauge and pressure relief allows you to accurately air your tires. Release the pressure handle while airing and see the pressure in the tire. No switching back and forth between the gauge and air chuck. Includes male quick connect fitting and locking air chuck. If you have any questions about this product by Kleinn Air Horns, contact us by completing and submitting the form below. If you are looking for a specif part number, please include it with your message.